Caterham Cars has opened the order book for the Seven 160 - its new entry-level variant of the iconic sportscar, powered by a super-compact, turbocharged Suzuki engine. engine and low-weight embody the pioneering spirit of early Sevens and represent a new entry-point to the Seven range. The Seven 160 - EU customers will get an altered version, called 165 - produces 80 hp from its 660 cc, three-cylinder, turbocharged engine, enabling it to accelerate to 60 mph in a brisk 6.5 seconds and on to a top speed of 100 mph. 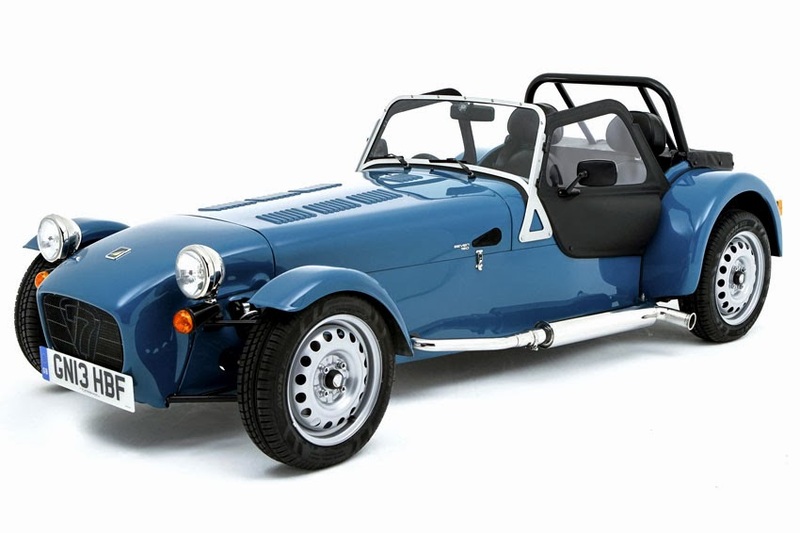 "As the Caterham Group as a whole grows and expands into new sectors and industries, our commitment to keep evolving the Seven is very much alive," said Caterham Cars CEO, Graham Macdonald. "The 160 offers something truly different to the entry-level market. It's more economical, more accessible and every bit as fun on the road as other Sevens but has its own unique personality." To meet the desired performance criteria, the Caterham Group's engineering consultancy, Caterham Technology & Innovation (CTI), fine-tuned engine performance from its standard output of 64 hp to 80 hp, while boosting fuel economy and reducing vehicle emissions. The vehicle conforms to EU5, EU6 and JC08 emissions regulations. "The engineering challenges we faced when developing the new vehicle were significant. The engine, suspension and the overall dynamics all needed to work in harmony and the various arms of the Group have been successful in pooling facilities and expertise to achieve that," added Macdonald. The number five at the end of the EU spec car's moniker signifies that the vehicle complies with the EU5 emissions standards, allowing it to be sold across mainland Europe and beyond.